Safely contains poultry, pigs, goats, dogs, and other small animals while providing superior protection from predators. The lightweight, portable design allows the fence to be moved and set up repeatedly with no tools required. 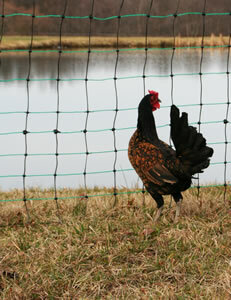 Creates pastures and enclosures in minutes.